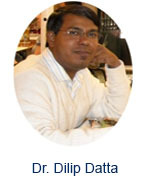 Dr. Dilip Datta is an Associate Professor in the Department of Mechanical Engineering at Tezpur University since 2011. Earlier he served National Institute of Technology (NIT) Silchar for 16 years up to the level of Associate Professor in the Department of Mechanical Engineering. He received his Ph.D. Degree in Mechanical Engineering from Indian Institute of Technology (IIT) Kanpur in 2007 and earned his postdoctoral from Instituto Superior Técnico, Lisbon, Portugal. He is having 19 years of teaching experience in the field of Mechanical Engineering. His area of expertise/research includes optimization/operational research, in particular multi-objective evolutionary algorithms with application to various real-life combinatorial optimization problems of different domains. 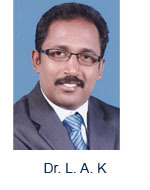 Dr. L. A. Kumaraswamidhas, In the midst of a healthy and intellectual upbringing, he obtained his Bachelor Degree in Mechanical Engineering from Bharathiar University, in 1999. Subsequently, he obtained his M.E. in Engineering Design from PSG Tech/ Bharathiar University, Coimbatore, in 2002. Besides having a strong technical expertise and analytical skills, he acquired his Ph.D degree from Anna University, Chennai, in 2008. He started his career from 2002 as a Teaching Research Associate in Madras Institute of Technology, Chennai, to satisfy his passion for teaching and research and then he joined National Institute of Technology (NIT)-Trichy as an Assistant Professor from 2006. Besides having a strong technical expertise and analytical skills, he acquired his Ph.D degree from Anna University, Chennai, in 2008. Before he was posted as Associated in Indian School of Mines, Dr.L.A.Kumaraswamidhas served as an Assistant Professor at National Institute of Technology, Tiruchirappalli in Tamil Nadu during 2006-2012. In addition to teaching at engineering colleges, he had also worked as an administrator/coordinator for student associations and laboratories. By virtue of working for a considerable number of years in the academic arena, he reached the position of the Mining-Machinery Coordinator at Indian School of Mines. During his stint as MME Coordinator, Dr.L.A.Kumaraswamidhas became known for his contribution of value-creation and value-addition to various sectors such as overall administration, academic affairs, education and research of the University. He was reputed for the timely conduct of examinations in University Departments and always ensured prompt release of results. As an active researcher, Dr.L.A.Kumaraswamidhas is associated with many foreign Universities, along with that he is an Editorial Board Member of 5 Reputed Journals and also a reviewer of 8 International journal. Consecutively he has contributed to the areas of Automobiles, Vibration, Tribology, Engineering Design and Computational Fluid Dynamics with his 35 research publications. As a research guide, Dr.L.A.Kumaraswamidhas produced 1 Ph.D's and 10 M.S. scholars in various fields. At present, 10 research scholars are pursuing their Ph.D. under his direct supervision. A technical and education management expert, Dr.L.A.Kumaraswamidhas, believes that Science, Engineering and Technology are advancing at a fast pace and obsolescence of physical infrastructure, skills and competence takes place rapidly. He is keen on taking steps to improve the existing infrastructure, investment and intellectual strength wherever they exist and network them so as to utilize them effectively and optimally for meeting the changing needs. Not only does he profess the values of Indian culture but also does he practice many of the fundamental principles of humanity and society. While dedicating himself to the cause of creating a world class infrastructure, he has also undertaken many community services in various parts of India out of his quest to contribute more to society. Currently, Dr.L.A.Kumaraswamidhas is the Associate Professor and Coordinator of Mining Machinery Department of the internationally leading and highly advanced technical University – Indian School of Mines University, and he is known for his virtues as a wise mentor, friendly teacher, innovative administrator, and visionary leader. 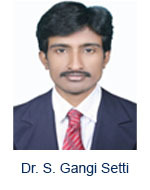 Dr. Srinivasu Gangi Setti is a Assistant Professor in the Department of Mechanical Engineering at the National Institute of Technology (NIT), Raipur. He received his Ph.D. Degree in Mechanical Engineering from National Institute of Technology, Warangal (NIT Warangal) in 2013. Then he joined as a Assistant Professor in National Institute of Technology (NIT), Raipur Institute in April 2013. He is having 3 Years of Experience in the field of Tribology, Titanium alloys, Modelling using ANN and FEM. His Area of Expertise includes: Tribology, Titanium alloys, Modelling using ANN and FEM, Composite Materials. 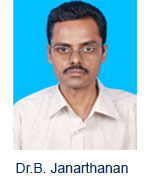 He is recipient of International travel grant for young scientist support from DST and CSIR in the year 2012. 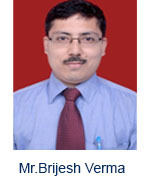 Mr.Brijesh Verma a Professor in the Department of Mechanical Engineering at the Uttar Pradesh Technical University, Lucknow He received his M. Tech Degree in Production & Industrial Engineering from University of Roorkee, Roorkee in 2000 and Then worked as a Assistant Professor in Dronacharya Group of Institutions, for 8 Years. He is having 14 Years of Experience in the field of Research & Teaching. He worked as a Research Scholar at IIT Delhi. His Area of Expertise includes: Rapid Prototyping, Rapid Tooling, Mechanism Design and Mold Design. Dr. D.G. 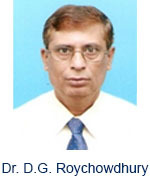 Roychowdhury is a Professor in the Department of Mechanical Engineering at the Hindustan University. He received his Ph.D. Degree in Mechanical Engineering from Indian Institute of Technology, Madras in 2000 and earned his postdoctoral from Fluid Dynamic Research Centre, School of Engineering, University of Warwick, UK. He worked as a Scientific Officer in Indira Gandhi Centre for Atomic Research, Department of Atomic Energy, Kalpakkam, India for 26 years and then in Hindustan University for last ten Years. He is having 36 Years of Experience in the field of Fluid Dynamics, Heat Transfer, Computational Fluid Dynamics, Nuclear Engineering. His Area of Expertise includes: Computational Fluid Dynamics, Thermal Sciences, and Nuclear Technology (Fast Reactor Core design and Safety). He is recipient of Grant worth Rs. 17.73 lakhs from Naval research Board. Dr. Kailash Narayan Pandey is a Professor in the Department of Mechanical Engineering at Motilal Nehru National Institute of Technology, Allahabad. He received his Ph.D. Degree in University of Allahabad, Allahabad, India and earned his Master’s degree in University of Roorkee, Roorkee, India. Then worked as a Professor from 1987–2006 at K.N.I.T., Sultanpur, India. 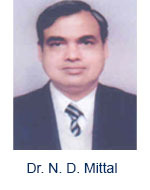 He also worked as Associate Professor from 04.8.2006–27.9.2012 at M.N.N.I.T., Allahabad, India. He is having 28 Years of Experience in the field of machine design. His Area of Expertise includes: machine design, trobology and fatigue crack growth. He is National Scholarship and Merit Scholarship holder in B.Tech and University Gold Medal holderin M.E at University of Roorkee, Roorkee. 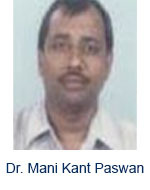 Dr. Mani Kant Paswan is a Professor in the Mechanical Engineering Department of National Institute of Technology.at the MHRD Govt of India He received his/her PhD.degree in 2002 from Ranchi University( NIT Jamshedpur) .Then worked as a professor in National Institute of Technology at the MHRD Govt of India Institute/University for 25 Years. He/she is having 27 Years of Experience in the field of Research/Design. Her/his Area of Expertise includes: Manufacturing. Dr. Satish Sadashiv Prabhune is a Professor in the Mechanical Department at the Maharashtra Institute of Technology (MIT), Pune, India. She/he received his/her M.M.S. degree from Symbiosis Pune in 1984 and worked as Fellow at I I P E in 2002. Then worked as a professor at V.I.T Pune from 2002 to 2003. 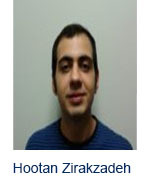 He/she is having 20 Years of Experience in the field of mechanical engineering. His Area of Expertise includes: machine design and automobile engineering. He is Fellow' of Indian Institute of Production Engineers and approved 'P G Teacher' of Pune University. He has also worked as a Project Guide for B E students since 2003 at MIT Pune. Assistant Professor, National Institute of Technology, Agartala India, India. Assistant Professor, Mechanical Engineering National Institute of Technology, Raipur, India. Senior Scientist, Central Mechanical Engineering Institute, Durgapur, India. Professor, Mechanical Engineering, Indian Institute of Technology, Guahati. Principal Scientist, Central Mechanical Engineering Research Institute Durgapur, India. Assistant Professor, Department of Mechanical Engineering, Malaviya National Institute of Technology, Jaipur. Assistant Professor, National Institute of Technology, Suratkhal India. Head, Mechanical Engineering Department, Kalaniketan Polytechnic College, Jabalpur, India. Assistant Professor, Department Of Mechanical Engineering & Mining Machinery Engineering Indian School Of Mines, Dhanbad, India. Assistant Professor, School of Mechanical, Materials & Energy Engineering Indian Institute of Technology ,Ropar, India. Associate Professor (Mechanical Engineering), Amrita School of Engineering, Coimbatore. Assistant Professor, Department of Mechanical Engineering, Universal college of Engineering and Technology, Vallioor, India. Professor and Head, Department of Automobile Engineering, Sree Sastha Institute of Engineering & Technology, Chembarambakkam,Chennai, India. Professor, Mechanical Engineering Department, Maulana Azad National Institute of Technology Bhopal, India. 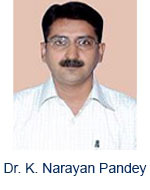 Professor, Mechanical Engineering Department, Maharashtra Institute of Technology, Pune, India. Assistant Professor Materials and Manufacturing, Department of Mechanical Engineering Indian Institute of Technology Guwahati, Assam, India. Professor, Mechanical Engineering Department, National Institute of Technology MHRD Government of India. Professor, Department of Mechanical Engineering, Uttar Pradesh Technical University, Lucknow, India.